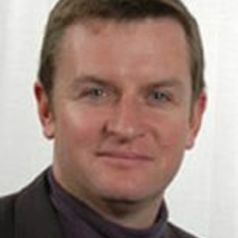 Professor Christopher T. Marsden is Professor of Law at Sussex. He is author of: Network neutrality: From policy to law to regulation (2017, Manchester University Press), Regulating Code (MIT Press, 2013, with Dr Ian Brown), the Oxford Bibliography of Internet Law (Oxford UP, 2012), Network Neutrality: A Research Guide in ‘Handbook Of Internet Research’ (Edward Elgar, 2013), the full length monographs Internet Co-regulation (Cambridge UP, 2011), Net Neutrality: Towards a Co-regulatory Solution (Bloomsbury, 2010), several other co-authored books, and many peer-reviewed articles. He has advised the European Commission, national governments and regulators, OSCE and Council of Europe [http://ssrn.com/author=220925]. Research Fellow at Harvard’s Kennedy School (1999), Industrial Policy Fellow at Cambridge Computer Lab (2006-8), visiting fellow at law schools in US, Japan, and Australia. LL.B. 1989 LL.M. 1994 both London of School of Economics, Ph.D. Essex.